Outlets. I’m not talking about shopping ladies (although I do enjoy a lovely outlet adventure). I am talking about your stress-relieving and creative outlets. What do you do to let your inner artist escape or to take the edge off?!?!? Exercise. My stress-relieving outlet. 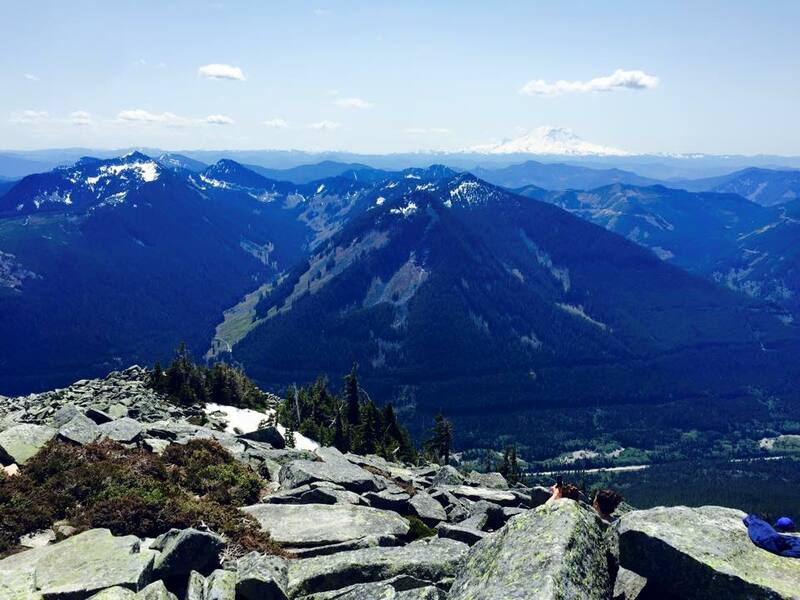 Probably not that surprising since I’ve posted about hikes and marathon-training. I learned early in my pharmacy residency that my relationship would not survive if I did not work out. I am apparently a much friendlier version of myself when I sweat out the frustrations. Let me be honest, I don’t get much out of running on a treadmill. I either want a group training class where a trainer is pushing me to limits I didn’t know existed OR I want to be immersed in the outdoors, running/hiking/swimming/paddle-boarding. My next activity to tackle is road biking, but let’s just say that one might take a bit of practice ahem train wheels ahem. Andrew filmed me in the parking lot testing out a road bike and could not stop laughing because of how nervous I looked :/ I may have almost crashed into a trash…oops! FYI marathon training = insatiable appetite. I apologize to anyone that has suffered the wrath of hangry me. My life is a Snickers bar commercial. Food. My creative outlet. Probably even less surprising. I really love getting crafty in the kitchen. I must bore everyone I hang out with. If I’m not talking about food, I’m talking about groceries, restaurants, food blogs, or Teek (my adorable weimy). Teek has nothing to do with food, but I am equally as obsessed with food and Teek. I apologize to all the friends out there that get bombarded with pictures of food (or my dog) I am either creating or eating (I’m not eating the dog…). 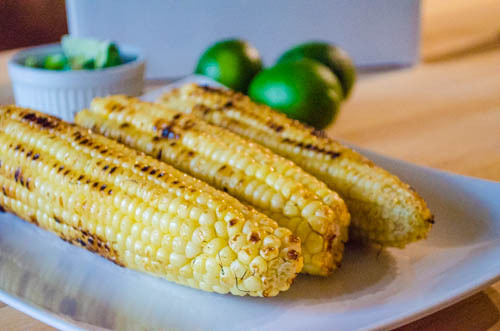 My creative foodie is inspired by the farmer’s market, that amazing meal we ate out, Food Network in general (when we had cable, yes canceling cable was a travesty in our household), any my personal favorite…when I challenge myself to make a meal with what I have in my kitchen. No extra grocery trips allowed! 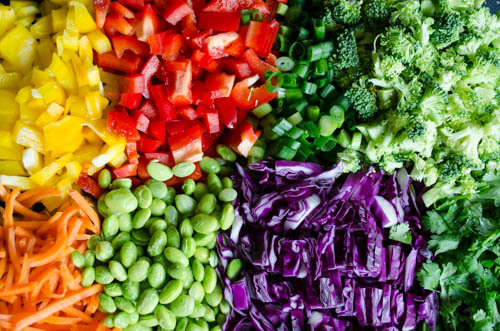 This thai chopped salad came to be from one of those kitchen challenges. We hosted a fiesta a couple weeks ago and I might have made enough jasmine rice to feed a small country. I got a little carried away with the fiesta and we had left over rice for days. 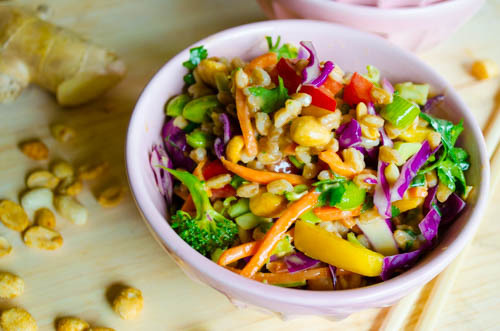 I needed a break from Mexican cuisine and decided, why not make a veggie-filled salad with the rice as an added bonus? I mean, I usually eat veggies with my rice anyway…so why not throw it all together? 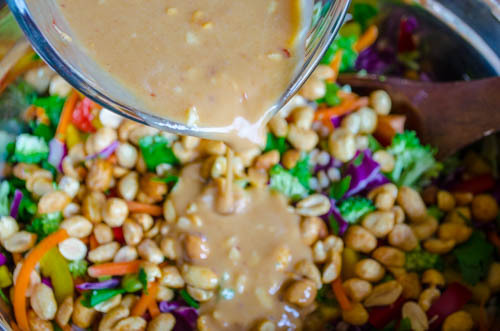 Seriously, there are certain combinations that are meant to be in the world: peanut butter and chocolate, milk and cookies, ranch and hot sauce, wine and cheese, hot cocoa and whipped cream…add to the list this salad and the coconut, peanut, sesame, ginger dressing. 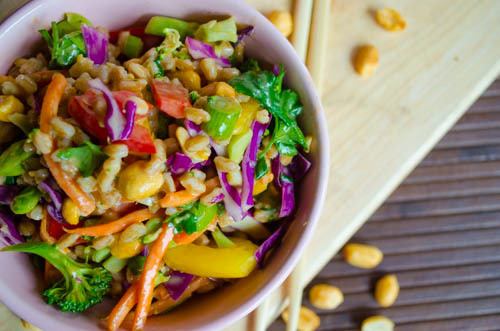 Anyone can throw veggies together and even add rice or farro to the mix. I’m not claiming that this was an ingenious idea of mine. What ties it all together and brings it to ANOTHER LEVEL??? Well, that would be the dressing. Creamy. Sweet. Citrusy. Spicy. Nutty. Salty. Savory. Easy. One bowl. One whisk. Magic. I’m curious, what are your outlets: stress-relieving or creative? Sunday we traded in our dresses and over-sized hats for some hiking shoes and enjoyed the stunning views surrounding Seattle. After a 1000 ft-per-mile elevation gain, trek through some snow, and a scramble to the watch tower we summited Granite Mountain. It is amazing what adventures are waiting in your backyard, especially in this little corner of the U.S. My itch to hike is officially back in full force and I am now dedicating hours researching the trails I want to explore this year. If you look closely you can see Mt. Rainier in the distance. Okay enough about my weekend fun, I’m sure you’re curious about the Bang Bang Shrimp. Other than having an awesome name, this dish is delicious and simple. 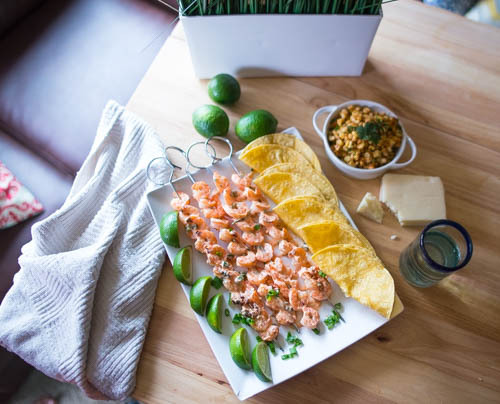 It’s a fun one to make when you have company over for summer cook-outs or if you want to switch up your Taco Tuesday and throw some seafood into those corn tortillas! This recipe was inspired by Bonefish Grill’s Bang Bang Shrimp appetizer. If you’re from the Midwest and have not been to Bonefish Grill, go there NOW and order that starter. Your taste buds will thank me, your waist-line not-so-much. With that being said, I decided to make a healthier version of the dish. The shrimp are grilled instead of breaded/fried and the sauce subs greek yogurt for mayo. The flavor is still finger-licking good. 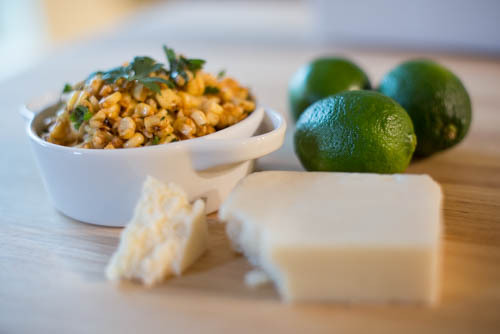 Think creamy, sweet, spicy…aka the perfect combination. It is SO good that Andrew dipped tortilla chips in the leftovers and was legitimately sad when I washed out the mixing bowl (hehe I am such a meanie). What’s your favorite restaurant appetizer? I’d love to try it and improvise a healthier version in my mini test kitchen. Place shrimp on grill and cook until pink with slight char marks, ~2 minutes per side. 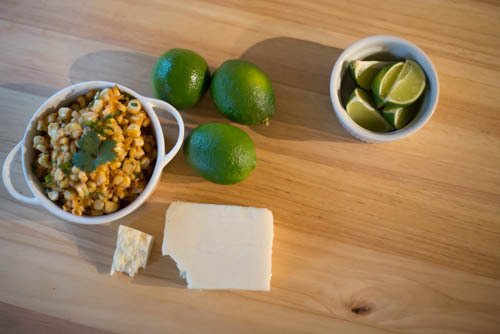 While the shrimp are cooking, combine the ingredients for the sauce in a small bowl. Taste and readjust seasoning as desired. 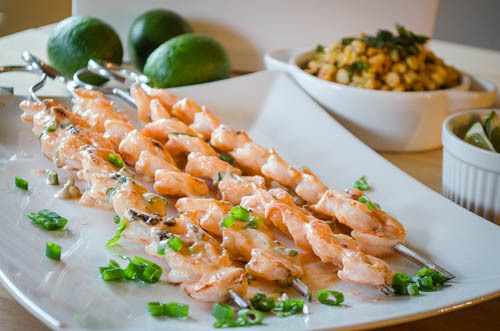 Remove the shrimp from the grill and baste both sides with bang bang sauce. Serve immediately. Wake up. Hungry. Work out. Hungry. Work. Hungry. Go to bed. Hungry. This is what I have come to realize marathon training is…I am always hungry. I literally eat something and am thinking about the next thing I want to eat. I heard from multiple friends that have completed marathons that I should prepare for the hunger. I had no idea what I was in for. I have emergency snacks in my purse, at work, and I don’t leave the car without snacks. We went out to a brewery tour yesterday and Andy laughed at me as I packed snacks for the 30-minute car trip. Oh yes, the fear is real. Stopping at a gas station, grocery store, or you know getting food to eat while we were out did not cross my mind. I needed to make sure that I had snacks just in case. One of my go-to snacks is granola. Have you ever stopped to read the ingredients on a bag of granola. I don’t know about you, but I do NOT want my granola to contain ingredients that I do not understand or cannot find readily available at a grocery store. I want whole grains, real proteins, and natural sugar. 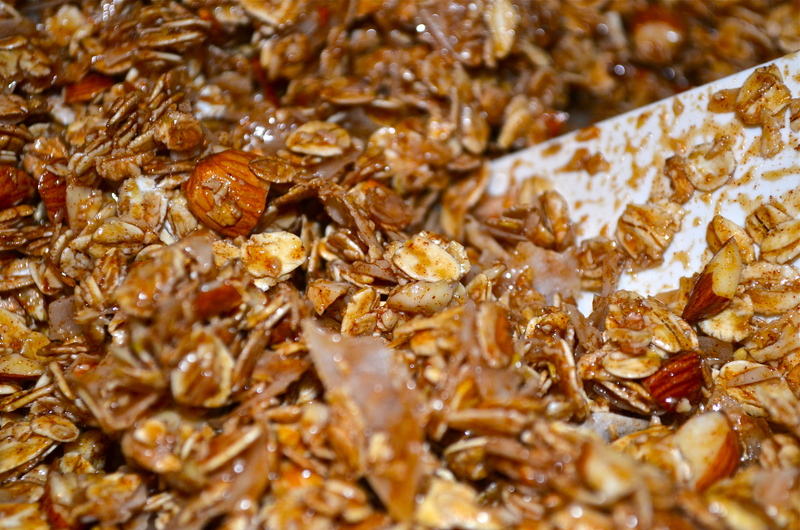 So this was my first experiment to create a simple granola recipe with ingredients I had in my kitchen. The aroma of toasted almonds, cinnamon, and vanilla throughout the house is an added perk of this recipe. Andrew walked through the door after work and immediately asked what I was baking because it smelled amazing. Talk about delicious?!?! 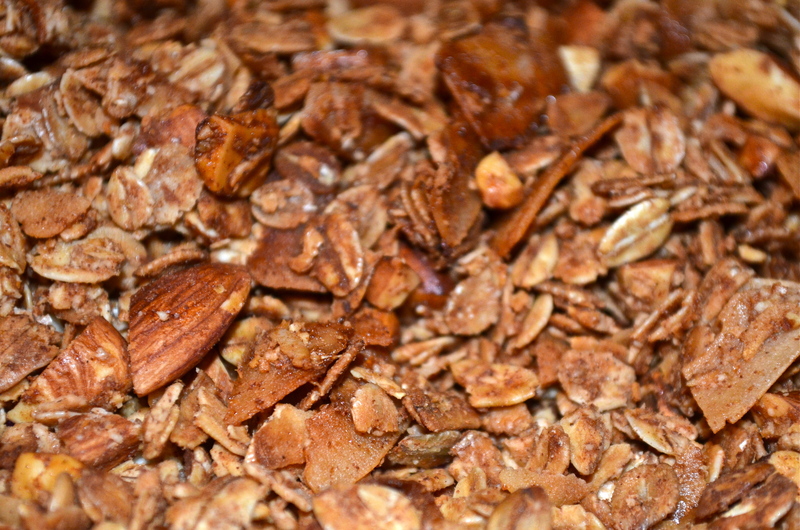 The first batch of granola lasted about 3 days. Oops. Honestly this is the perfect breakfast paired with fresh fruit and milk, an added treat to top your smoothie or yogurt, or the ideal snack for a girl (umm or man) on the go. 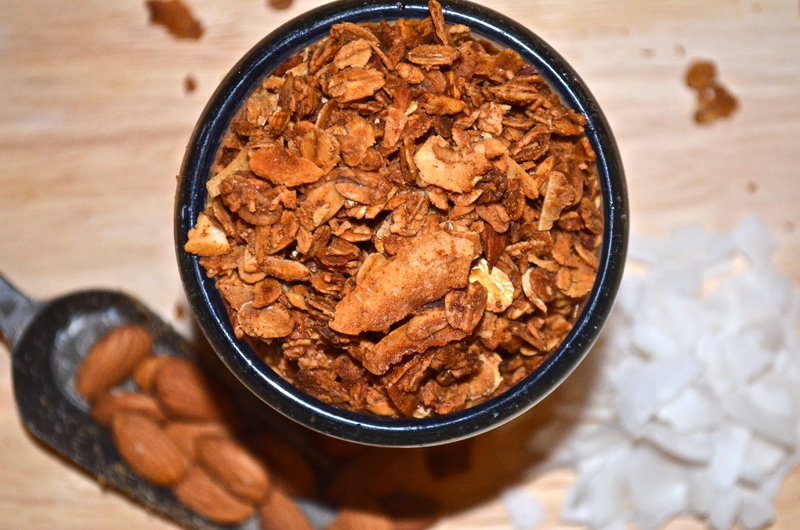 Not too sweet with just the right amount of crunch ;) I can’t wait to explore with more flavors and fruit/nut combos. Alright, I have a confession. Are you guys ready for it? I splurged…big time. I purchased my first, official pair of running shoes! I tried to play it cool and wear my Nike Outlet and Nordstrom Rack Nikes while training for my first marathon. I tried to convince myself that I did not need to walk into the new Brooks store (conveniently located off the running path…hello marketing genius). But this Sunday, after a trip to the Fremont Sunday Market and Fremont Brewery (oops) I did the deed. Another healthy obsession of mine is Thai food. Seriously, Thai recipes seem overwhelming, but really they require you to have the same key spices/ingredients on hand and then it all comes down to the balance of flavors. 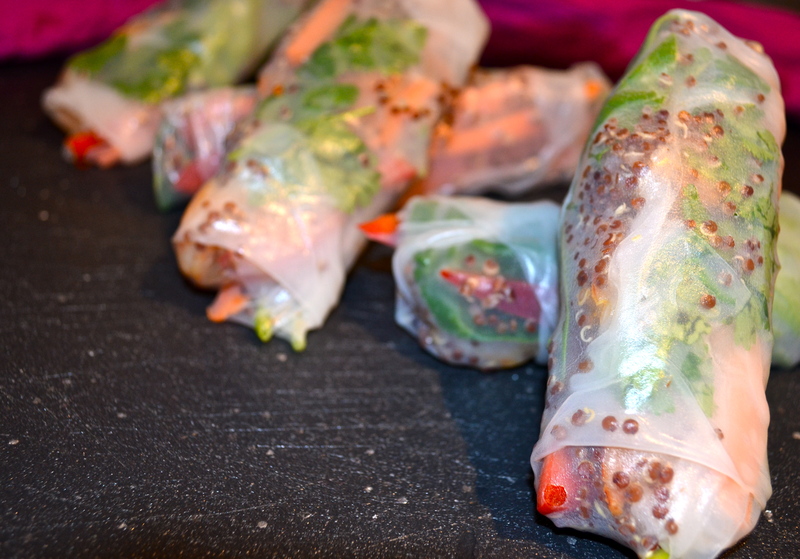 Spring rolls are a great recipe to have in your culinary tool box for entertaining, using up veggies, or quick meals. 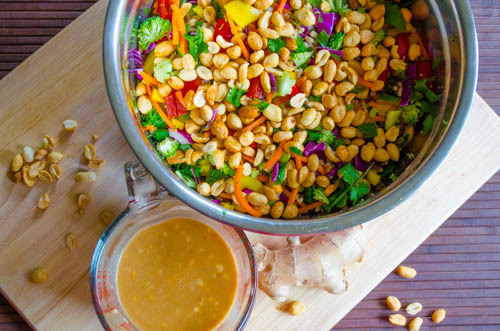 Honestly, you can combine a variety of proteins or veggies and if you dip it in peanut sauce…it’s going to taste AMAZING. Hello happy taste buds and belly. I decided to use spinach and quinoa in this variation since I had both on hand in the fridge. But next time who knows what I’ll find in the kitchen and in my spring roll. 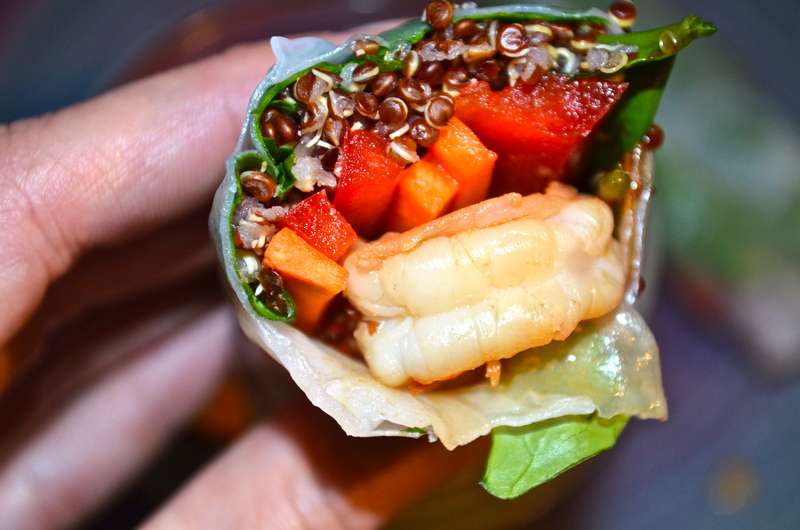 Let me know what you love to put in your spring rolls and what your favorite running shoes are?!?! 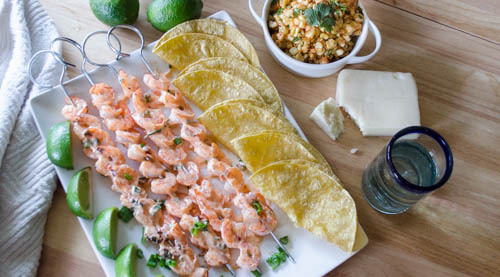 Place all ingredients for the shrimp marinade in a mixing bowl and coat shrimp. 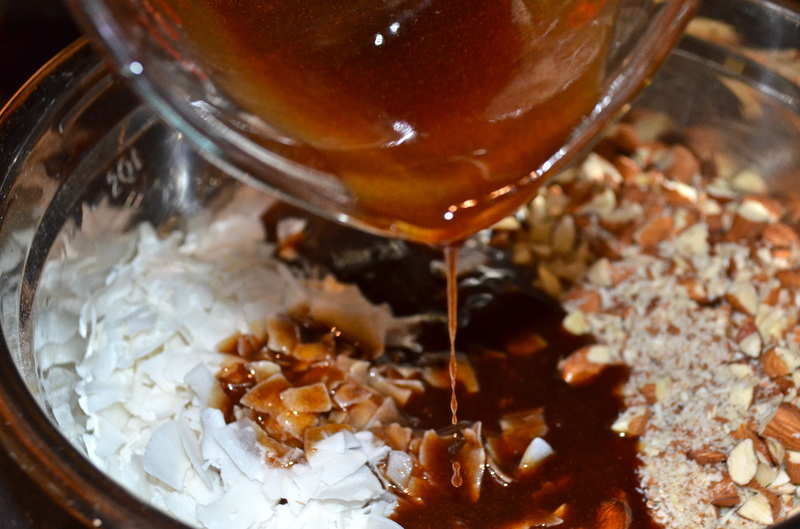 Allow to marinade for at least 30 minutes in the refrigerator. Heat a skillet over medium-high heat and coat with non-stick cooking spray. Cook shrimp 2 minutes per side, until pink. Remove from heat. Pour simmering water into a large pan or bowl. 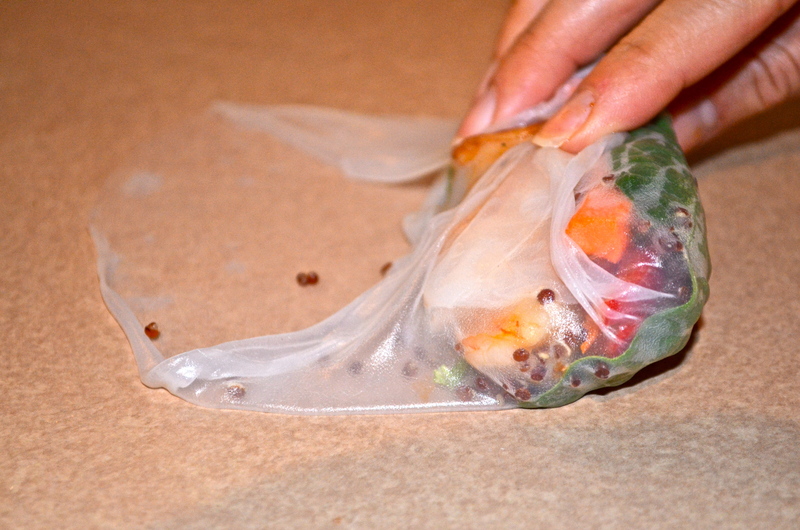 Place the spring roll wrapper in the water and rotate until moistened. Lay the wrapper on a damp, clean work surface. Serve spring rolls with peanut dipping sauce. Store extra spring rolls in an air tight container in the refrigerator.